This article assumed you have successfully installed and activated the RSS feed addon within wordpress plugins. 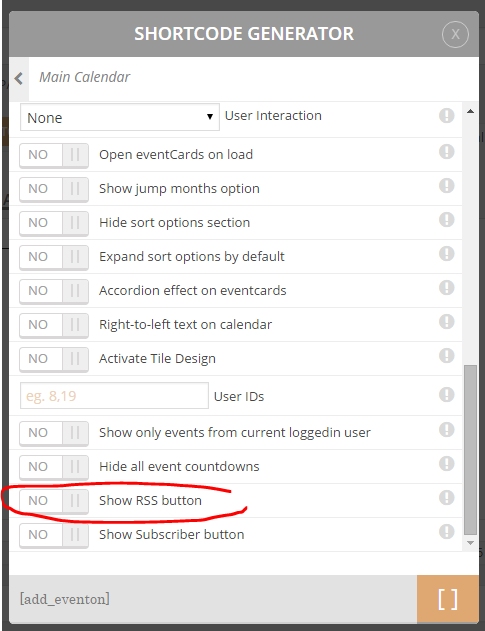 Once you have installed the RSS feed addon in shortcode generator you should see new option to activate RSS feed button for that calendar. Adding rss=”yes” into shortcode will show the RSS button for eventON calendar.